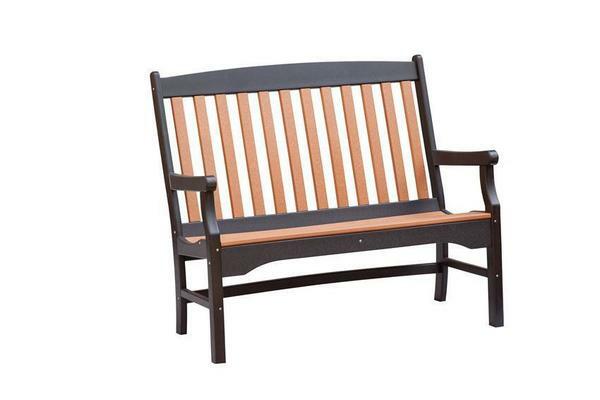 Kick back, relax, grab your loved one, and enjoy the outdoors using our Sunnycrest Poly Bench. This poly bench looks great as a standalone piece in your backyard but is an easy match with any outdoor decor. It comfortably seats two people and comes in a number of poly colors that make it easy to match. Place this bench in your favorite secluded area to give yourself your own oasis where you can relax. This Sunnycrest Poly Bench offers plenty of room for two! Choose from our 3' or 4' size poly bench.